Rope protection is a last resort, preferred option is to rig ropes away from an edge. The Cascade Edge Protector is another addition to our range of rope protectors. Constructed of durable stainless steel, the Cascade is corrosion resistant making it perfect in exposed locations. It is suitable for use in a range of different work situations including over brick and concrete edges & walls, metal edges such as hatches and walkways, or GRP in WTG Nacelle. The asymmetric shape and design of the edge protector enables increased stability when in use. 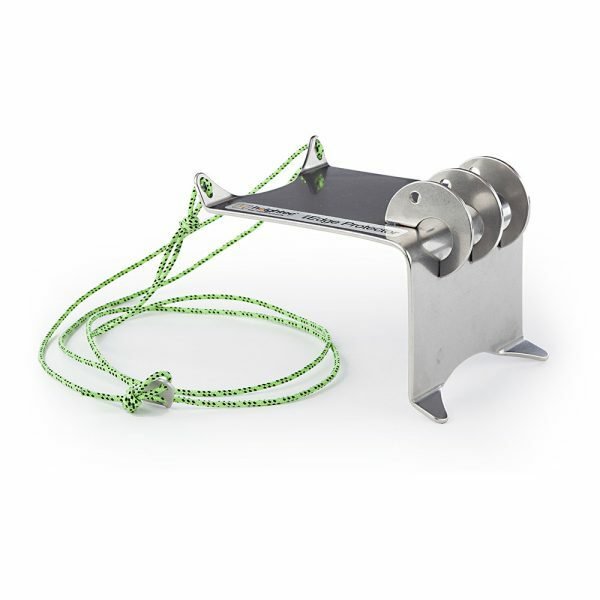 3 stainless steel guides hold ropes in position and keep twin ropes separate. Security cord can be used to help keep ropes within the guides if necessary. Rounded edge profile reduces friction when hauling or lowering. This edge protector can accommodate a variety of rope diameters, including: 10.5 mm, 11 mm, 12 mm. We are continuously designing and developing new products to meet the needs of the height safety industry. Recent designs in rope protectors include the Sentinel Chainmail Rope Protector and the Gratemate Plus – Rope Protector. For information on Rope and Edge Protection download our guide.